This article originally appeared here at 100 Years in America on April 27, 2008. I've reposted it here in honor of Geography Awareness Week. It is also one of my favorite contributions to the Carnival of Genealogy, whose participants (including myself) have been reminiscing this week. The land of Croatia is a crossroads. It has been since recorded history and will probably always remain so. Just look at its profile on a map: the crescent-shaped country looks as if it had been pressed at the center and pushed toward western Europe and up against the Mediterranean Sea. It has survived, packed densely with the strength and resilience of its people. Perhaps one of the places in modern-day Croatia that has most played a role in history as a crossroads is the area from which my family emigrated. 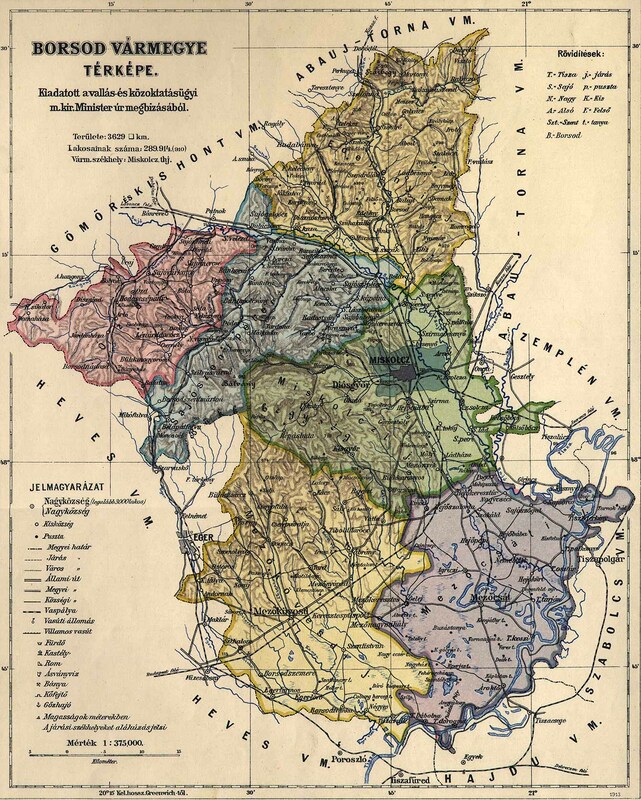 It is today's Međimurje county (Međimurska županija), an area within the Drava River basin in Croatia. Situated on the northernmost edge of Croatia, Međimurje county currently shares borders with both Slovenia and Hungary and is also very close to Austria. 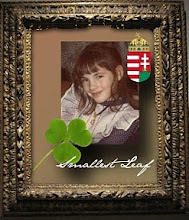 Its western border meets the foothills of the Alps while its eastern edge touches the Pannonian plains. Over the centuries the area has been ruled by various different nation-states, including the Austro-Hungarian Empire, the Kingdom of Hungary (it was formerly part of Hungary's Zala county), and of course most recently, Yugoslavia. The music, cuisine and even the language of the area is rich with cultural influences from its neighbors, predominantly Hungary. Vinko Žganec, a contemporary of the well-known Bela Bartok, spent much of his life collecting and recording Croatian folk songs, including over 15,000 from the Međimurje area itself. The crossroads of Međimurje has seen many travelers pass through, including Evliya Çelebi, the famous Ottoman traveler of the 17th century who mentioned the area in his books. 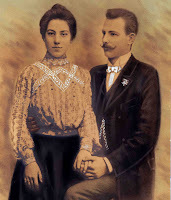 My great-grandparents Ferencz & Ilona (Bence) Ujlaki and their families were residents of the villages of Legrad and Donja Dubrava on the Eastern edge of today's Međimurje county. Today Donja Dubrava (once known as Alsódomboru) still lies in the county. Legrad was also once part of the county, but was "pushed" out to neighboring Koprivničko-križevačka county (Koprivničko-križevačka županija). The reason has an interesting story behind it. The name Međimurje, taken from the words međi (between) and mor(j)e (sea), means "between the seas". The area is located at the confluence of the Drava and the Mura Rivers, thus it was named Međimurje. According to Ivan Ivan Vecenaj-Tišlarov in his book To My Homeland, "The Drava has never been timid and humble... 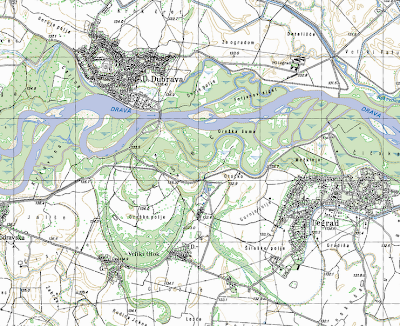 The history of continuous changes in the Drava River course are both interesting and tragic. It has most affected the inhabitants of Legrad." Legrad was once situated on the same side of the Drava as Donja Dubrava, but in 1710 the river changed its course after a flood and placed the village of Legrad to its south instead of its north. Since the river was considered the border, the county's border moved and as a result Legrad's legislative affiliation was changed because of natural causes. It is interesting to wonder what the residents of the time thought about the displacement of the town through this type of "divine geographic intervention". The history of this part of the greater Podravina (Drava River basin) region in Croatia goes back to the Neolithic period (early Stone Age). Legrad itself is known for the 7th to 8th-century B.C. Thracian-Cimmerian archaeological discoveries. The Croats settled in the area shortly after the Romans: in the 7th century. Some of the first preserved written documents refering to the area where these two small villages now lie were written during the Middle Ages in 1232 about the Vizmic estate (Bistrica parish). The village of Donja Dubrava was first recorded by name in the year 1446 (as Uj Dombo). 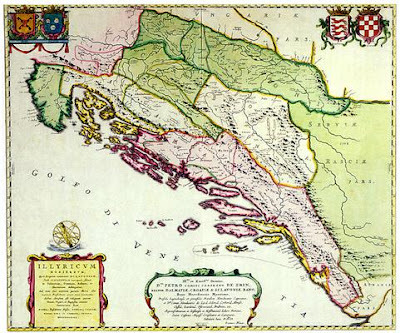 The area was protected during the time of the Turkish invasions by the noblemen of the Croatian Zrinski family. Their success prevented the area from ever being conquered by the Turks, although surrounding areas succumbed during the 16th and 17th centuries. 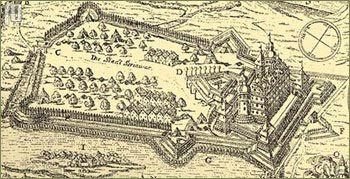 The Zrinski family castle and fortress, named Utvrda Novi Zrin, was a formidable sight in the 17th century to would-be invaders. By the time of the births of my great-grandparents in the late 19th-century, both villages had lost somewhat of their importance as a centerpoint for trade in the area, and had settled into a more quiet existence. The early 20th-century saw a period of high emigration and both villages remain small towns today. Donja Dubrava reached its peak population in 1910 with almost 3,500 people, and today has roughly 2,300 residents. Legrad today has about 2,700 residents. Thanks to a current resident of Legrad I have some beautiful 2008 photos to share along with my own historical photos of the home village of my great-grandparents. Legrad's Holy Trinity Catholic Church (Župa Presvetog Trojstva) was built around 1780 - a beautiful late-Baroque one-nave parish church. 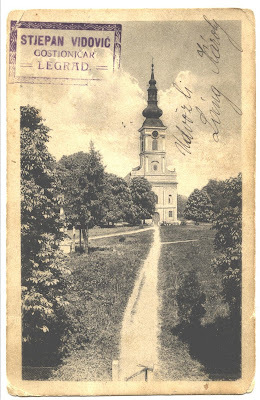 In the year 1790, Donja Dubrava received its own parish church - St. Margaret (Župa sv. Margarete dj. mč.) - after branching off from the old Bistrica parish in Donji Vidovec (Župa sv. 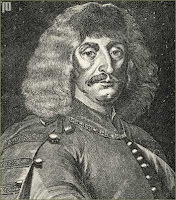 Vida mč.). 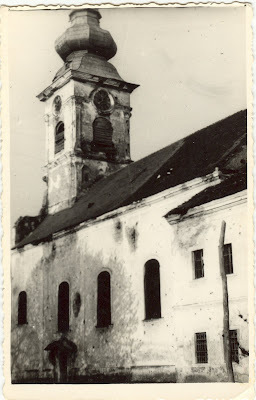 Unfortunately, Legrad's church suffered damage during World War II, but still stands and remains beautiful today. Donja Dubrava is home to several statues dated 1757, including images of the Holy Trinity and St. Mary, athough I have no photos of these to share with you at this time. The park in Legrad's center square has been graced since the early 18th-century by a group of five columns, including one dedicated to the Holy Trinity and one to St. Florian, shown below. I'm not sure about the date of origin of Legrad's school building, but I do know that my great-grandmother attended school there as a child in the 1890s. 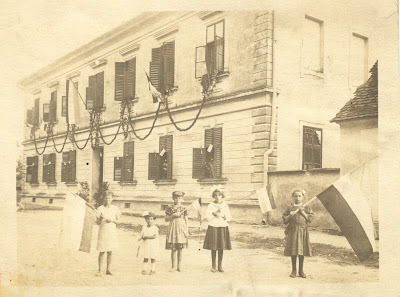 Below are two pictures of Legrad's school, taken about a century apart. I hope you enjoyed this short history of Legrad, Donja Dubrava and the Medimurje region of Croatia. I'll leave you with a few images of the train station from which my great-grandparents left their home village for America and of the beautiful Drava River, source of sustenance, trial and inspiration to the Croatian people for centuries. This article is based on research that I have done about the history of the Međimurje area over a number of years. In addition to the links included within it, the information in this article was based on (but not limited to) the following sources. If you have any corrections or helpful additions to Međimurje: Meeting place of rivers and cultures, please contact me. This article was written for the 47th editon of the Carnival of Genealogy hosted by Jasia of Creative Gene. The topic, "A Place Called Home", focuses on the hometowns of our ancestors. 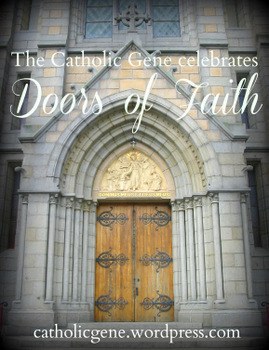 Stop by for some other looks at the significant places in the stories of family historians like myself. Wow I love your post. 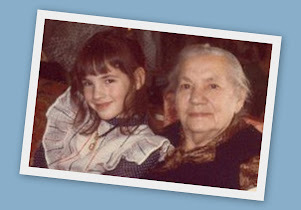 The history, pictures, maps, and related genealogy are great.Thanks for sharing. Thanks very much for your message, Ingrid. You mentioned that your Dad is from Dolnji. I assume that you mean Donja-Dubrava. Is that correct?